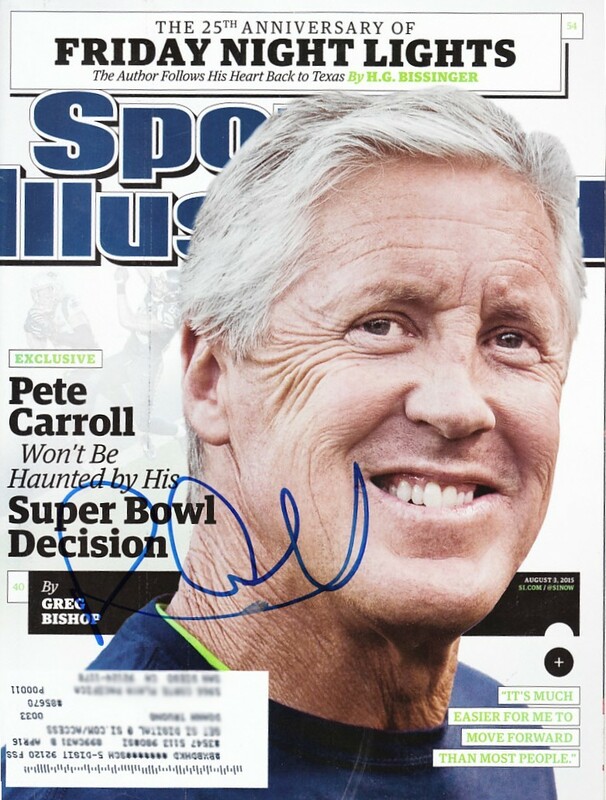 Complete 2015 Sports Illustrated autographed in blue marker by Seattle Seahawks head coach Pete Carroll (has tiny smear). Obtained in person at the team hotel in San Diego, with certificate of authenticity from AutographsForSale.com. ONLY ONE AVAILABLE FOR SALE.